That mani/pedi appointment you just made? Cancel it. Drugstore shelves have just been stocked with some pretty awesome new products to treat your tips and toes, so why splurge on something you could DIY at home? From treatments to tools, all the way down to nail polish remover, we’ve rounded up our favorite new mani and pedi essentials all under 10 bucks. Score. Paraffin masks have nothing on these intensive treatment hand and foot gloves by Iroha Nature. The double-layer gloves and socks are marinated with a vitamin-enriched serum that absorbs into your skin to soften and nourish your hands and feet. Try the entire variety of treatments and scents: rose-scented Lifting & Firming gloves, peach-scented Repair & Nourishing gloves and socks, and peppermint Comfort & Moisturising socks. We love the silky, non-greasy formula of these Herbacin Wellness Hand Creams. They sink into skin quickly and treat chapped cuticles just as fast. Choose from Wild Rose (made with natural fruit extracts of wild roses) or Lavender (blended with plant-based glycerin and lavender scent oil). Your feet have been hiding in your favorite winter boots all season long, adn they deserve a nourishing treat like this Foot Balm from Earth Therapeutics. It’s made with three natural plant butters – cocoa, mango and shea butter – to combat even the driest skin. Oh, and calluses? Consider them cared for: the Foot Balm is also blended with alpha-hydroxy acid and aloe vera to soften hard areas. We can’t get enough of the peppermint scent either. Love scoring designer duds on the cheap? Us, too! Unfortunately, Marchesa’s stunning gowns are totally out of our league, but their collaboration with Revlon has made it possible for us to get our hands on the brand and keep our tips looking fresh. This Manicure Essentials kit includes a cuticle trimmer, nail clipper, nail file and buffer housed in a Marchesa-designed carrying case. The first brand to make at-home gel polish a thing is now dabbling in lacquer. With 52 new shades at just $8 each, you’re going to have the entire collection in no time. Made with fine milled pigments, pearls and rare precious minerals, the top-notch formula leaves you with a rich, ultra-shiny finish that won’t chip while you wash dishes. Good luck choosing a favorite hue! Don’t have an hour to wait for your polish to dry? Try these KISS Gel Fantasy press on nails instead. They come in a variety of chic, sparkly designs and everything you need to apply them properly (glue, adhesive tabs, nail file and manicure stick). Each box comes with 24 tips. Multitasking products are always on our radar and we’re so glad we found this base and top coat from e.l.f. Get this: it strengthens nails while treating them with vitamin E and macadamia and jojoba oils. Long-lasting shine has never been this affordable. 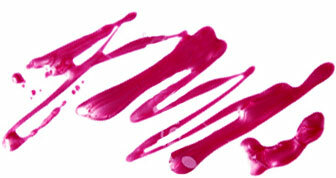 Now a gel-like finish can be achieved without LED-lights and expensive at-home gel manicure kits. The Gel-Lacque Kit comes with a primer and topcoat glaze to apply under and over the new L’Oreal Extraordinaire Gel-Color Polish (sold separately) for a cheap way to get the benefits of a gel mani. Only difference is, it comes off way easier that a regular gel manicure (no soaking necessary!). Whether you love glitter polish, gel manicures or nail appliques, there's finally a nail polish remover that makes taking them off easy. The new Cutex SPA formula features a blend of powerful acetone and natural botanical nourishing oils to make removing gels, Shellac, glitter and other hard-to-remove nail products a breeze. Finally!